I love Kennington Park. With is large tree-bordered fields, children’s play park, exercise equipment and cute cafe, it is everything a small urban park should be. But part of it has always remained slightly mysterious, to me at least. In one quiet corner sits the old park-keeper’s lodge. For many years it lay sad, derelict and empty, but then about six years ago Bee Urban took up residency, and things started to change. The broken windows were replaced. Pretty flowers began to emerge around the house, then a large wooden hut appeared next door. Most importantly a cluster of bee hives popped up in the back garden. As regular readers will know, I have long been intrigued by the magical qualities of bees. 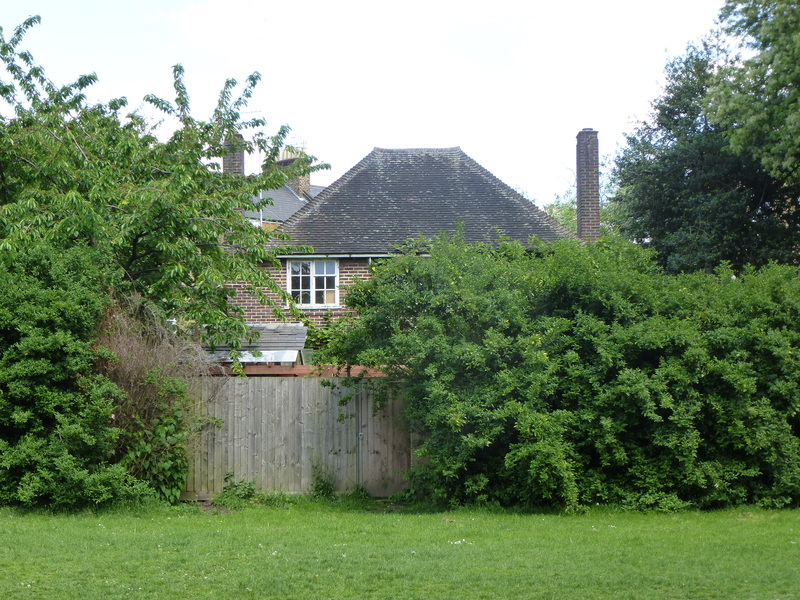 I live just round the corner from the park, and so I regularly pass the lodge, and have often stared longingly through the fence at this haven of peacefulness. This past weekend, however, the gates were flung open for one of Bee Urban’s regular open days. At last I had the chance to step inside and find out what was going on. 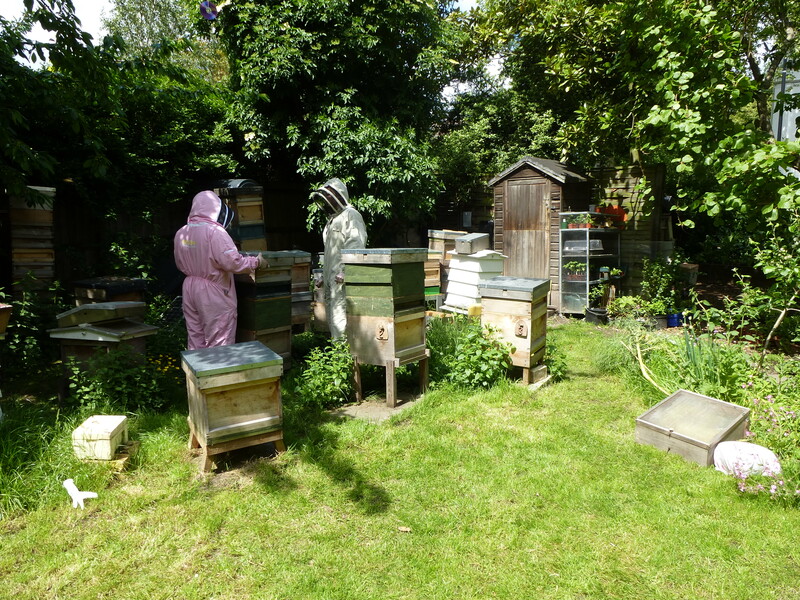 I received a warm welcome from one of the Bee Urban folk, who gave me a talk about what they were up to both here and in other parts of South London. I looked at an amazing little display hive with glass sides which revealed the frantic goings-on inside. Unsurprisingly, the fragrant floral air was filled with buzzing bees, who seemed pretty indifferent to the influx of nosy visitors. 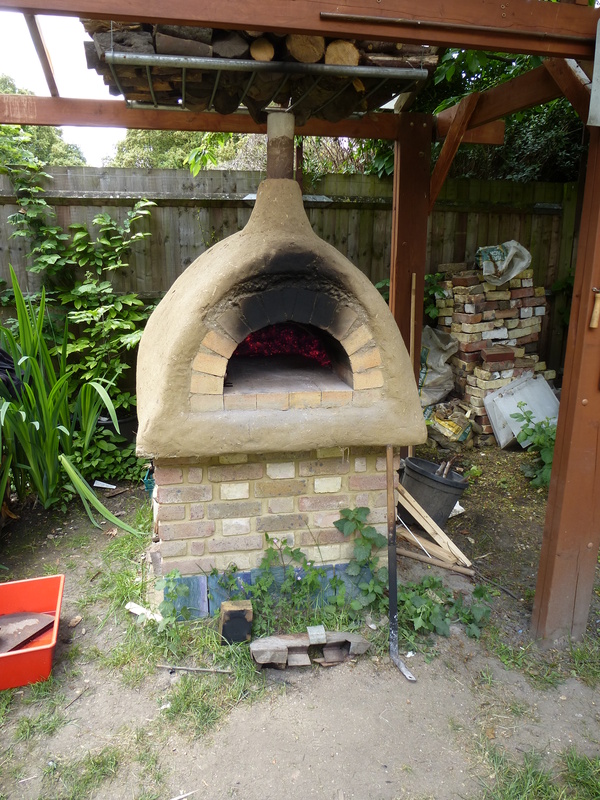 On one side a huge wood-burning stove smouldered, its smoky scent drifting over the sun-drenched garden. 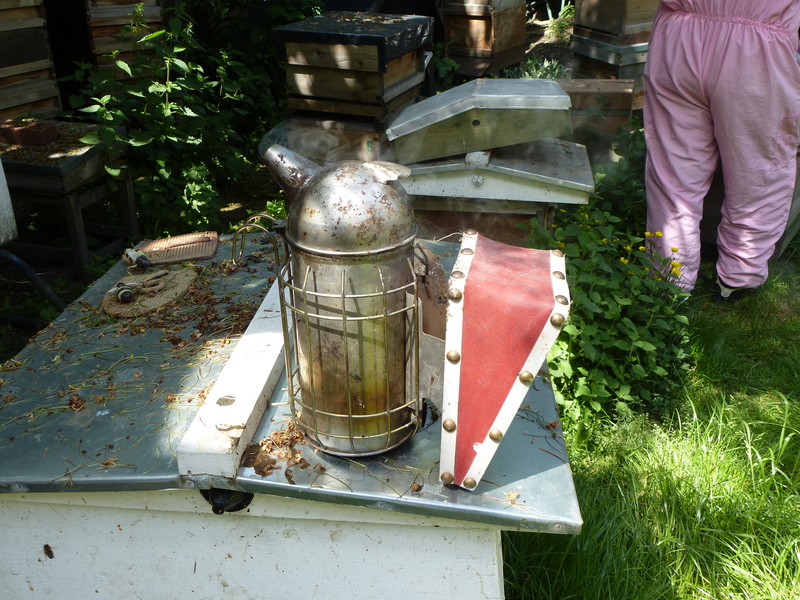 A small hive smoker sat next to it on top of one of the hives, a thin trail of white fumes curling out of its spout. It turns out that Bee Urban is open to the public every Thursday, and has weekend openings every so often too. There’s an exhibition inside the wooden hut, and even honey from the hives on sale. But there is trouble looming for Bee Urban’s apian paradise. The new Northern Line extension will be laid right underneath this part of Kennington, and the plan is to build a huge, ugly ventilation shaft right on this site. Let’s hope it doesn’t happen. 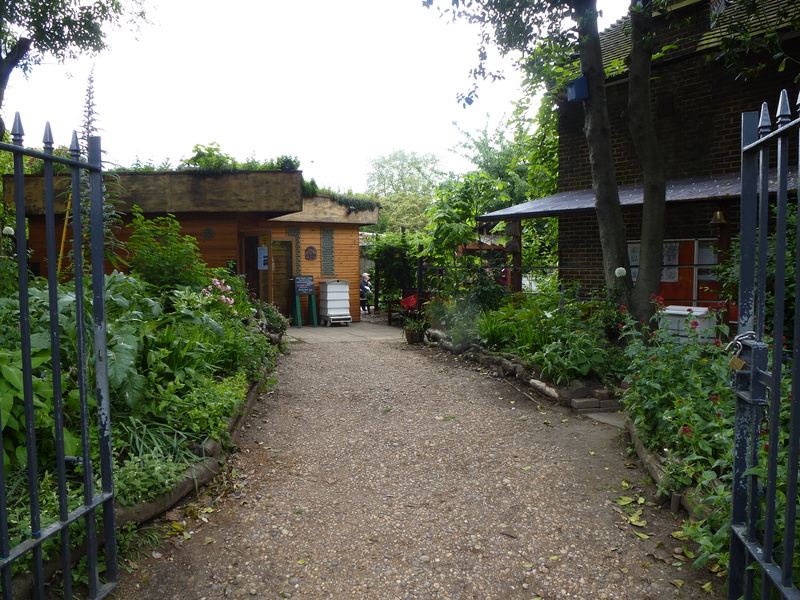 With its welcoming atmosphere, colourful wilderness garden and busy, buzzy bee community, Bee Urban is a magical little piece of rural calm in a distinctly urban setting. There’s definitely something magical about bees. Maybe it’s the way that such apparently simple creatures have developed their own sophisticated hierarchies, and seem able to communicate with each other in complex, non-verbal ways. Bees have long been the subject of myth and legend, and often appear in art and literature as symbols of organisation and industry. Quite how they do it still remains an intriguing mystery, but the products of their hard work, in particular wax and honey, have proved vital to the development of human civilisation over the millennia. I’ve been thinking for a while about how to feature bees in my search for magic. When I discovered the work of Slovakian born designer Tomas Libertiny I instantly realised that my search was over. 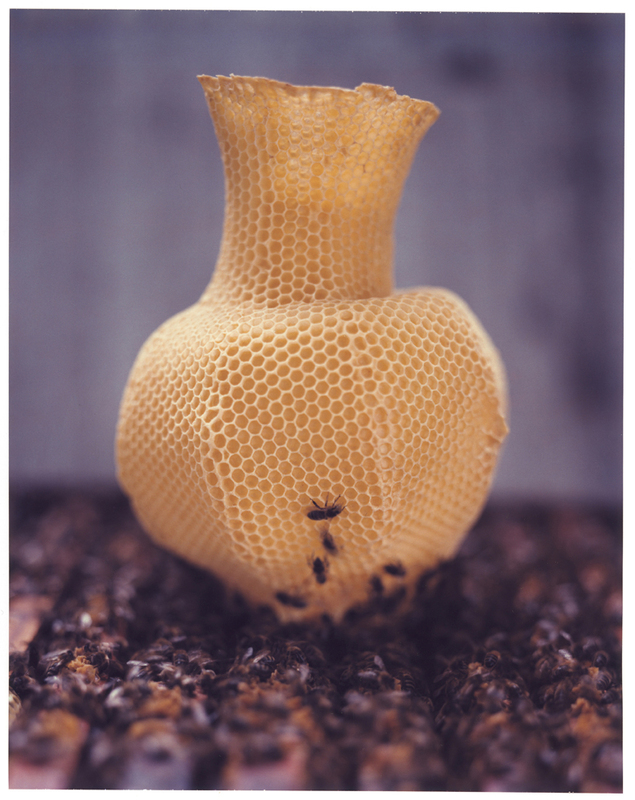 These Made by Bees vases are just what their name suggests, with a vase-shaped hive constructed by Libertiny being colonised by bees, who then produce this strange, delicate honeycomb vessel. It takes approximately 40,000 bees one week to make each vase, so it perhaps not surprising that only a small number were ever made. It’s an idea so simple, yet so magical, that it’s amazing no one has ever thought of it before. As Studio Libertiny point out, the beeswax is produced from flowers, and the Made By Bees vase is designed to hold flowers as they reach the end of their existence, so there is a satisfying circularity to this creation. 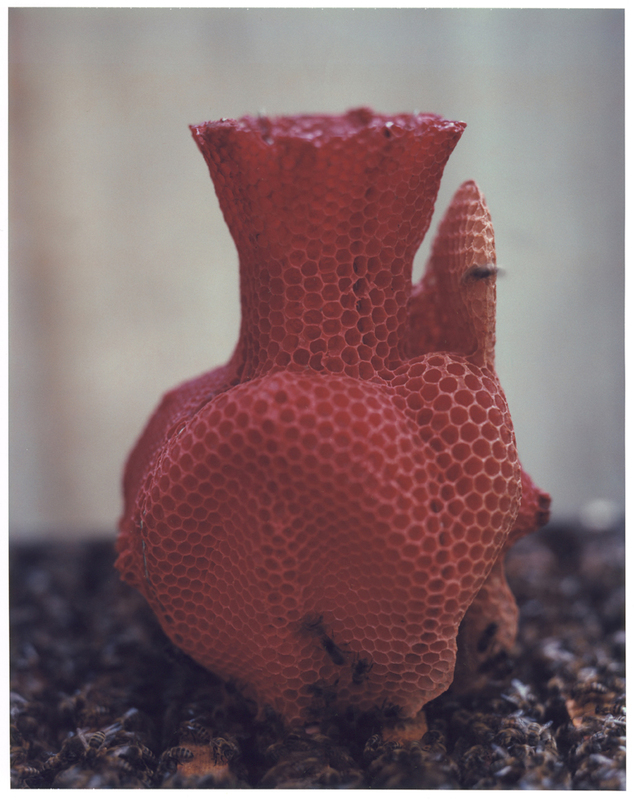 Like many magical objects, there is an element of chaos in the vase’s production, with Studio Libertiny allowing the bees to make the final decisions on the form of the vase itself, and the environment in which they live and feed also influencing the unique tone of each final piece. 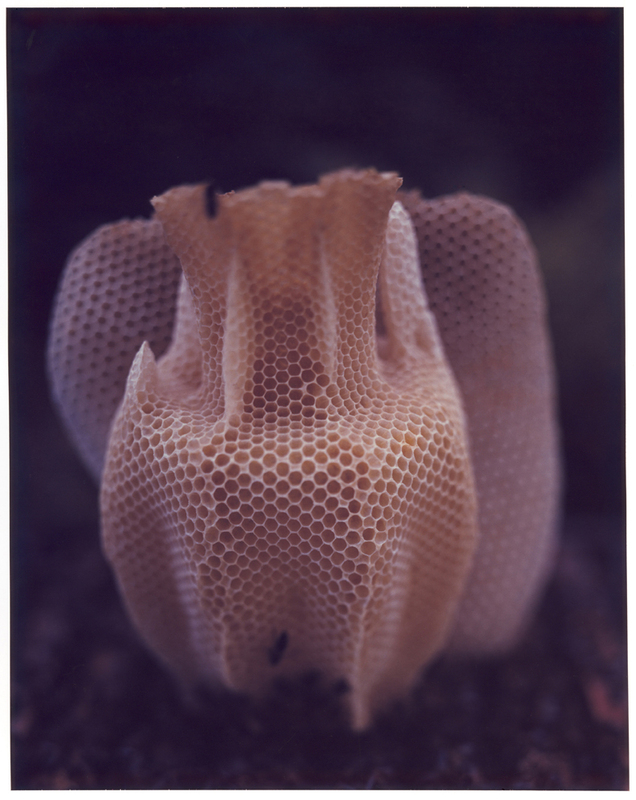 The results are fascinatingly beautiful; random yet organised, fragile yet temptingly tactile. I am not sure what the bees make of it all, but for me the Made By Bees vases are things of wonder that would not look out of place in an antiquarian Wunderkammer, sitting next to a wizened taxidermy ‘mermaid’ or an obsidian scrying mirror. Many of Libertiny’s creations utilize wax and honeycomb, with designer and nature working together to produce something archly modern yet utterly timeless, but in my opinion these vases are his most beautiful creation. They are are ephemeral, poetic and marvelous. And of course, undeniably magical.